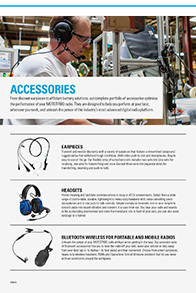 MOTOTRBO Accessories can support your whole digital radio system. There is a range of IMPRES Energy, Audio ( inc. Bluetooth) and Carrying Accessories that will work alongside your Motorola Solutions MOTOTRBO two-way radios and mobile radios to enhance usability allowing your whole team to work efficiently and covertly. IMPRES technology offers noise suppression capabilities that reduce the amount of background noise on the transmitting end. 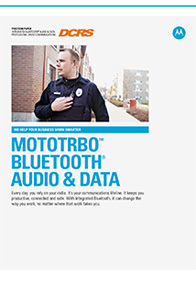 The MOTOTRBO™ platform is the first to offer a combined portfolio of IMPRES audio accessories to assure quality communication with optimal audio performance. The radio optimises its output for each type of audio accessory attached, resulting in a more consistent output. For example, if a user looks forward, away from the from the Remote Speaker Microphone while transmitting, the IMPRES microphone is smart enough to increase the audio gain, so that the user’s voice comes through clearly. 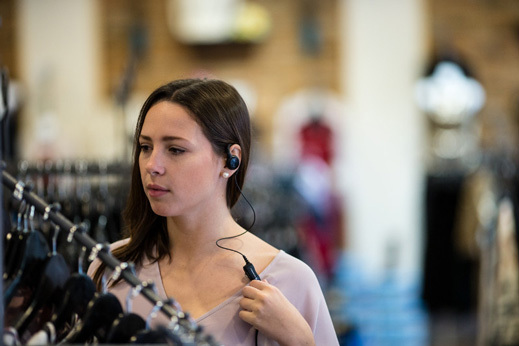 With integrated Bluetooth, you can change the way you work, no matter where your job takes you. Pair with an off the shelf, or Motorola Solutions wireless earpiece/ headset. The latest MOTOTRBO SL Series portables, DP4000 Series portables and DM4000 Series mobiles support four unique Bluetooth profiles, further information can be found in the download below. 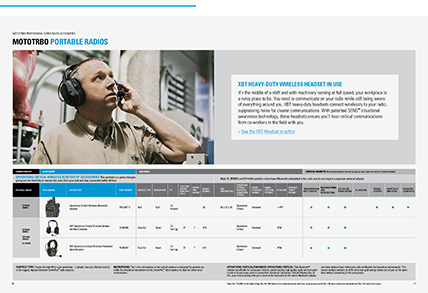 MOTOTRBO™ two-way radios support the connection of Peltor Headsets, further information can be found in the download below. Motorola Solutions industry-exclusive IMPRES energy system enables automated battery reconditioning, display of critical battery status information and other vital benefits. This automated system works to diminish memory effect, optimise the life cycle of the battery and maximise talk time. 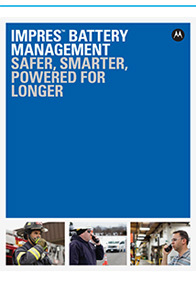 The result – a MOTOTRBO™ two way radio system that’s charged and ready to go whenever you need it, further information can be found in the download below. Carry cases, holders and belt clips are available in all sizes designed to fit your Motorola Solutions MOTOTRBO™ two-way radio and battery and permit audio to be heard clearly. Constructed of top-grain leather it can withstand harsh conditions; there are options for every user from construction, utilities, education establishments to hospitality and retail. Carry accessories keep your hands free so that you can concentrate on the task at hand.